This weekend I’ve been learning about learning from a young boy of my acquaintance. 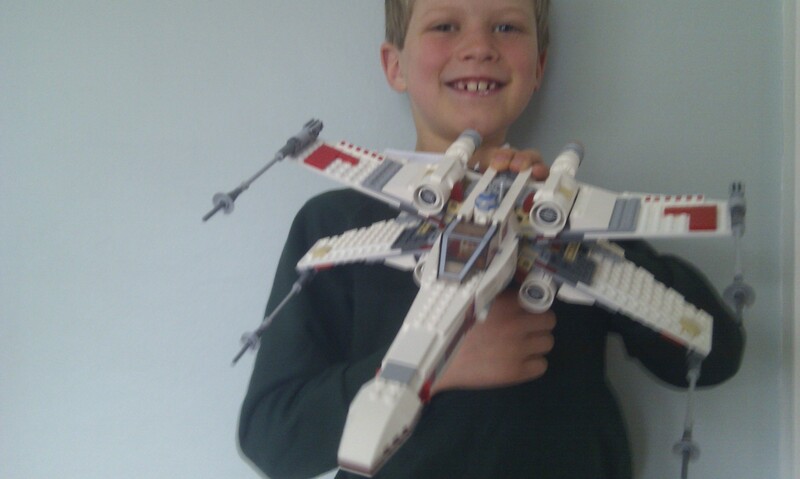 Upon arrival at a weekend of wedding celebrations for his aunt, he discovered that while he had brought his recently-acquired Lego X-Wing starfighter – dismantled into its 400 or so individual bricks – he had left the instructions back home. After some flumping about, he was encouraged to try building it from memory, since he has already built it and dismantled it (with instructions) about ten times already. 2 hours later, he was finished. I talked to him about this, since I was intrigued as to his approach, not least since he had clearly not been specifically prepared for such a task (a common issue when learning). He explained that some parts were very easy/memorable and didn’t require any thought as to their construction. Secondly, he noted that there were sub-assemblies he could work: blocks of bricks that naturally belonged together and which could be dealt with, then put to one side until they could be joined on. However, the main part of the model didn’t work this way, since it was an integrated design that needed to be done in a particular order. Here was where I found the most interesting insight, namely that he had thought about the intent of the finished piece: what was it that each piece contributed to the overall design? As always, this made me think of how our students acquire and use their learning. the key difference here is that students don’t get asked to exactly reproduce an output (or rather, they shouldn’t be). But they do have to engage in novel exercises that might be out of their direct experience, extrapolating from what they have previously done. Just as this boy progressively moved away from the instruction booklet as the weekend progressed on his iterations of building, so students develop their confidence in using knowledge and skills through use. And as instructors, we need to think about how we can facilitate this.